Calibration ‘on the move’ – when application rates require changing, utilise the manual adjustment buttons. 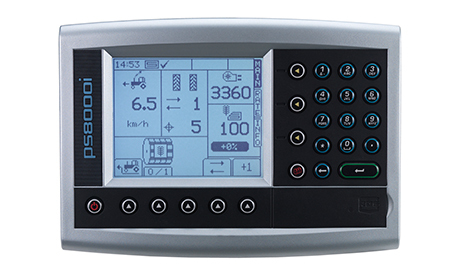 Precision Farming capability – add an RDS GPS 16 receiver and load a pre-defined seeding plan via SD card for automated variable seed rate application. Printer option – useful for contractors to produce field records.